NBA forward known for his rebounding ability. He was selected 4th overall by the Cleveland Cavaliers in 2011 and he helped the team win the NBA Championship in 2016. He played one year of college basketball for Texas before declaring for the 2011 NBA Draft. He played high school basketball at three different schools: St. Marguerite d'Youville Secondary School in Ontario, Saint Benedict's Preparatory School in New Jersey, and Findlay Prep in Nevada. He had a son named Prince with ex-girlfriend and model Jordan Craig. In 2016, he began dating Khloe Kardashian. 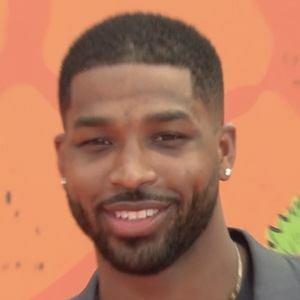 He and Khloe welcomed a daughter named True together in April 2018. In early 2019, he and Khloe separated. He was drafted along with point guard Kyrie Irving by the Cleveland Cavaliers in 2011.